sunset on an icy grant park, originally uploaded by jetrotz. As soon as it came, it seems it was gone. 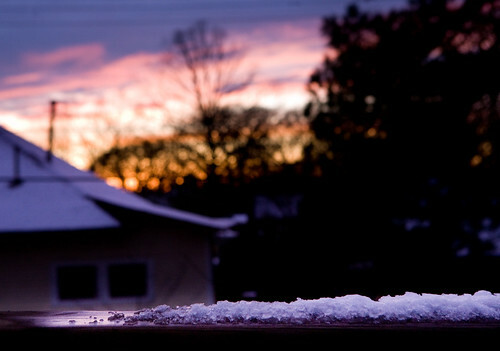 The winds blew the last of our March snowstorm out of town just before sunset, illuminated the icy rail of our back deck.